This is a new coupon available at Save.ca. Visit Save.ca, select the coupon and click on ‘Get My Coupons’. You will be prompted to download Save.ca’s print coupons software. 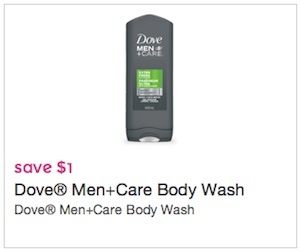 Once you print the coupons, bring it into any supermarket, grocery store, drugstore that sells Dove Men + care body wash and save money. 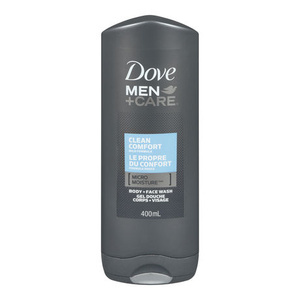 This is a Dove coupon to save $1 on Dove Men+Care body wash.
Dove® Men+Care® Clean Comfort Body and Face Wash with MICROMOISTURE technology is clinically proven to fight skin dryness better than regular men’s body wash. This ultra-light formula rinses off easily for a refreshing clean and total skin comfort. Available sizes: 13.5 oz. and 18 oz.